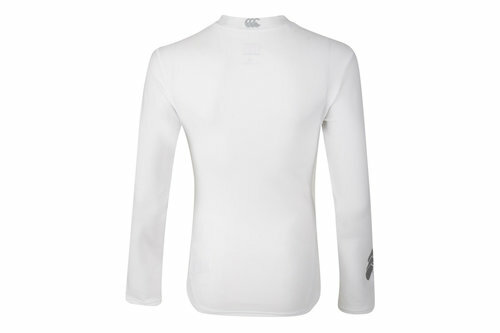 Get your child warmed up so they can focus on their training and maximise their performance with the Canterbury Base Layer Thermoreg Kids L/S T-Shirt in White. 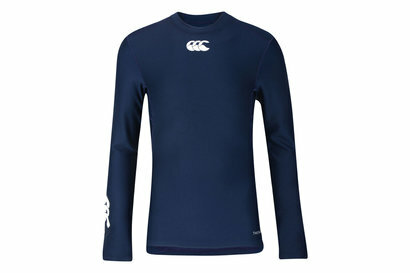 This children's long sleeve base layer top from New Zealand rugby specialists Canterbury has the CCC logo printed on the chest and sleeve and has a ultra tight close to skin fit that improves blood flow and helps re-energise muscles for faster recovery during and after exercise. 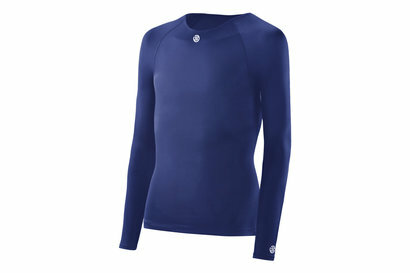 Performance seams and stretchy material reduces chafing and allows for freedom of movement. 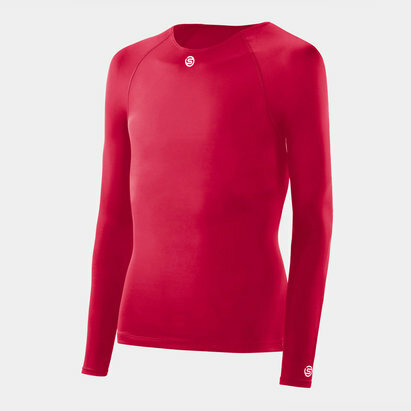 Made from polyester and elastane material, this kids base layer tee features Canterbury Thermoreg technology to help keep the wearer warm in the coldest of situations thanks to extra insulated fabric. It also ensures you feel dry and refreshed too by drawing sweat away from the skin and quickly drying off when the heat is on. 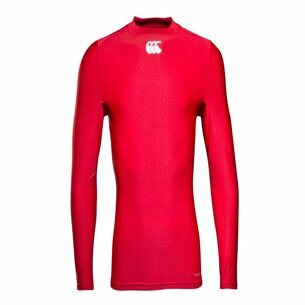 Don't let the chill of winter spoil a young player's training, get them warmed up with the Canterbury Base Layer Thermoreg Kids L/S T-Shirt.